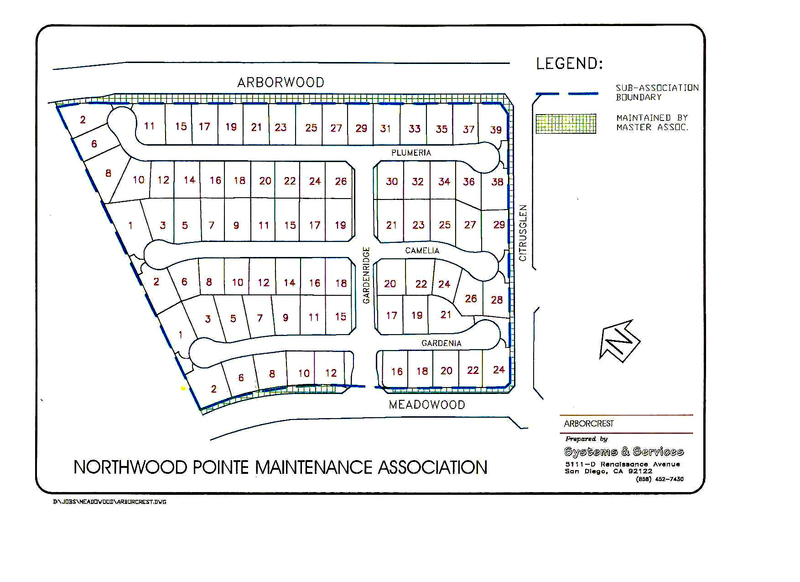 What areas are included within Northwood Pointe? 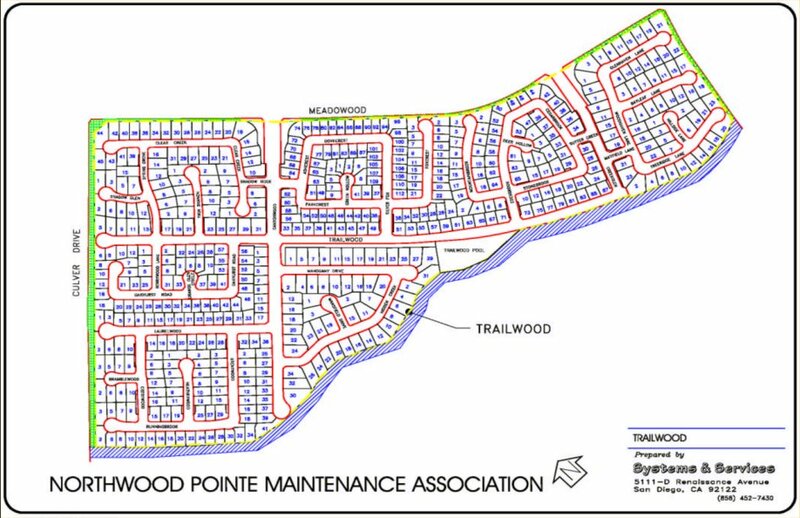 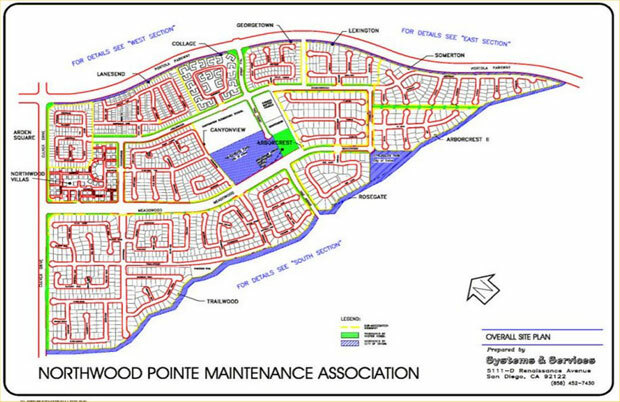 Northwood Pointe is sometimes referred to as the “Master Association” because the residences within the Northwood Pointe Maintenance Association include all of the residences within each Sub-Association. 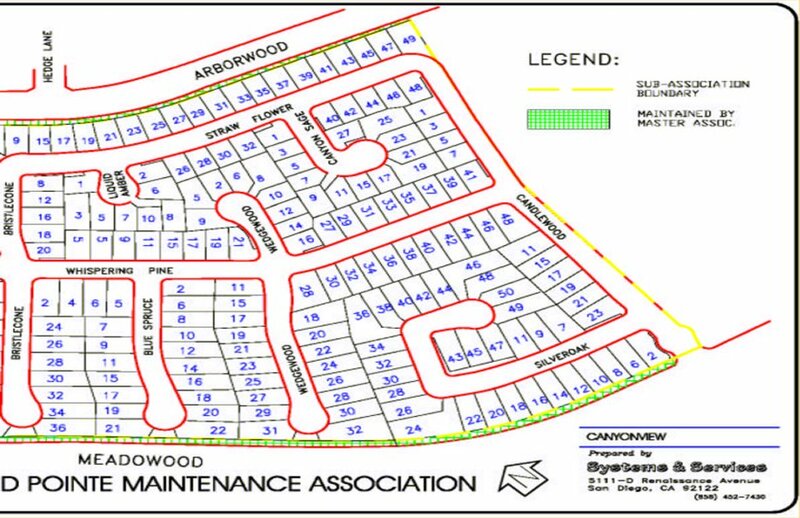 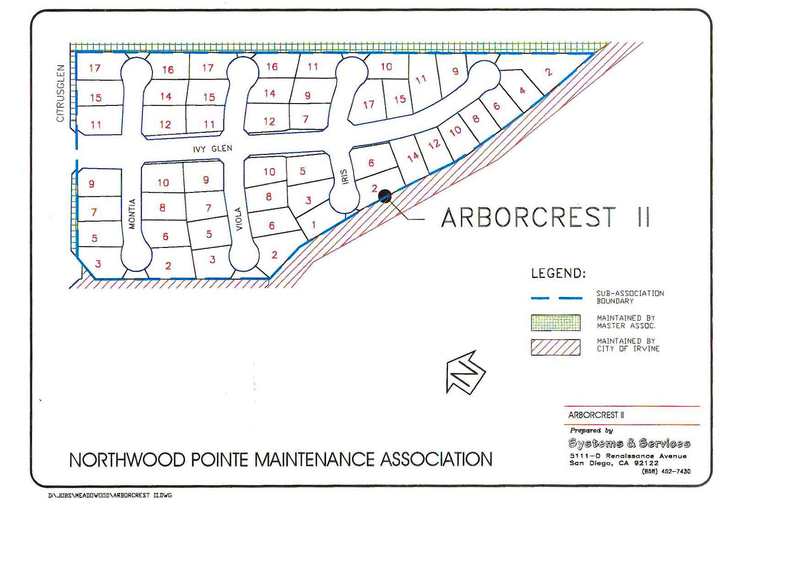 There are currently twelve (12) “Sub-Associations”: Trailwood, Rosegate, Northwood Villas, Canyon View, Arborcrest, Georgetown, Lexington, Lanesend, Arborcrest II, Somerton, Collage and Arden Square. 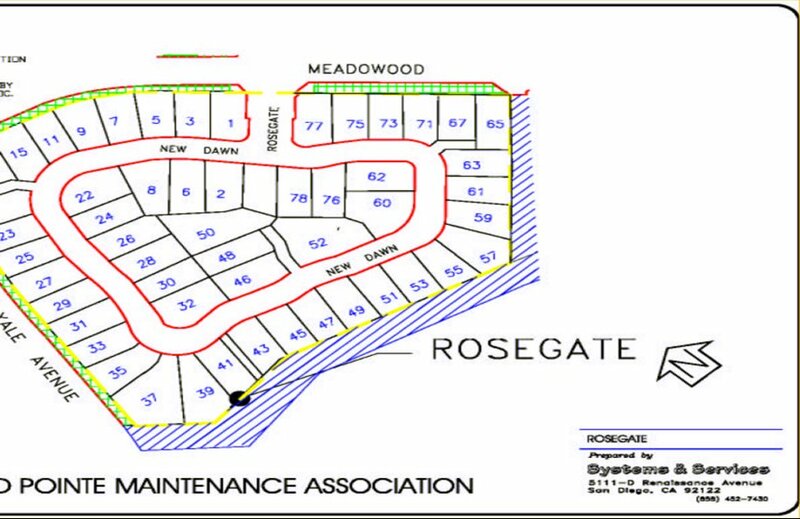 Each Sub-Association has its own independent Board of Directors and is responsible for its own management and for maintenance of its own property. 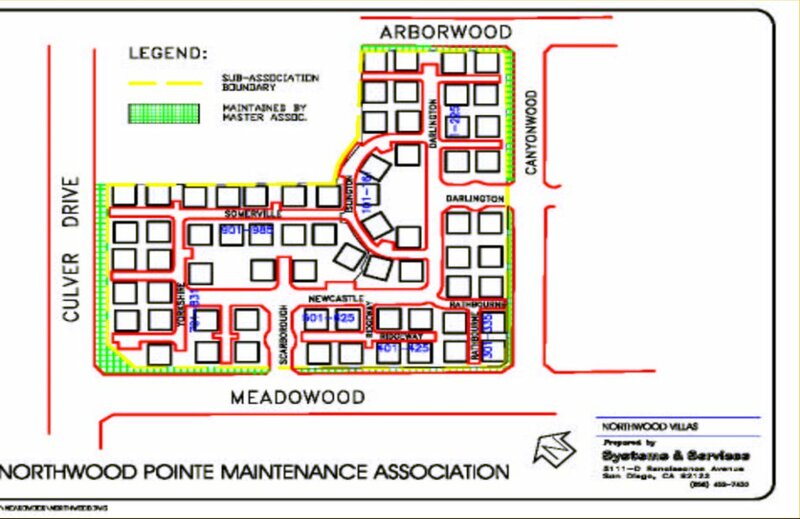 Sub-Associations are separate legal entities from each other and from the Northwood Pointe Maintenance Association. 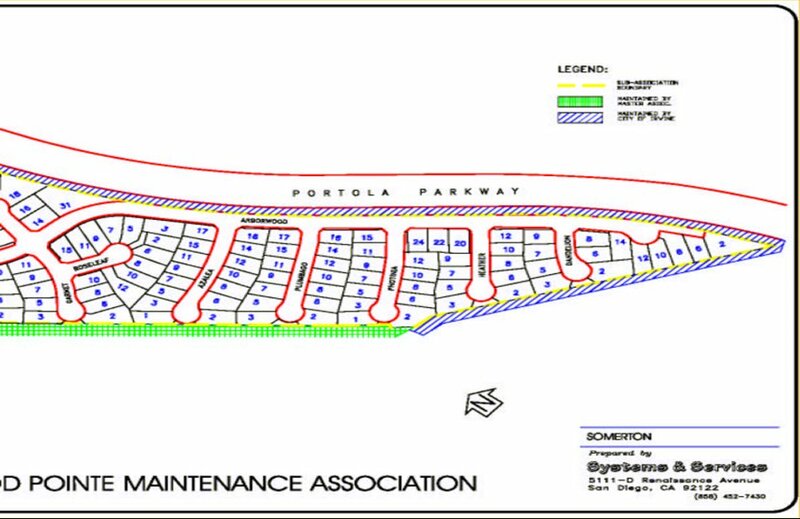 Each is funded by its own dues and manages its own financial accounts and obligations. 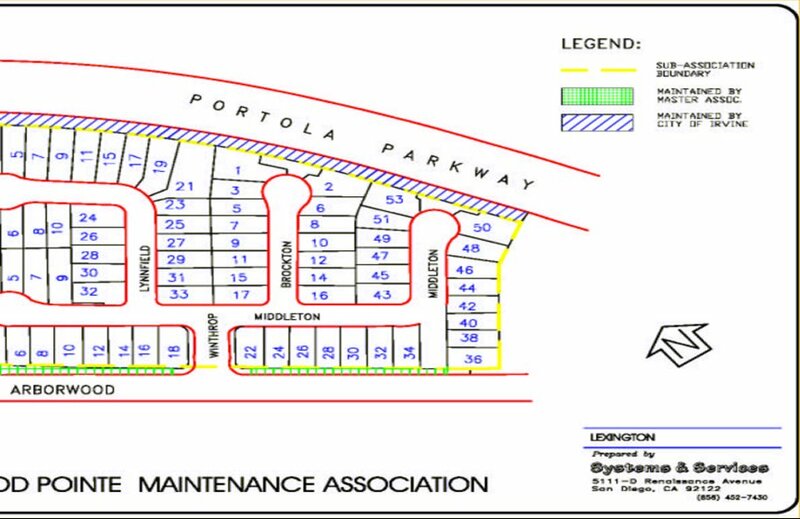 Each Sub-Association is responsible for maintaining the common area landscaping, gates, lighting, pools, parks, streets and other property that belong to that Sub-Association. 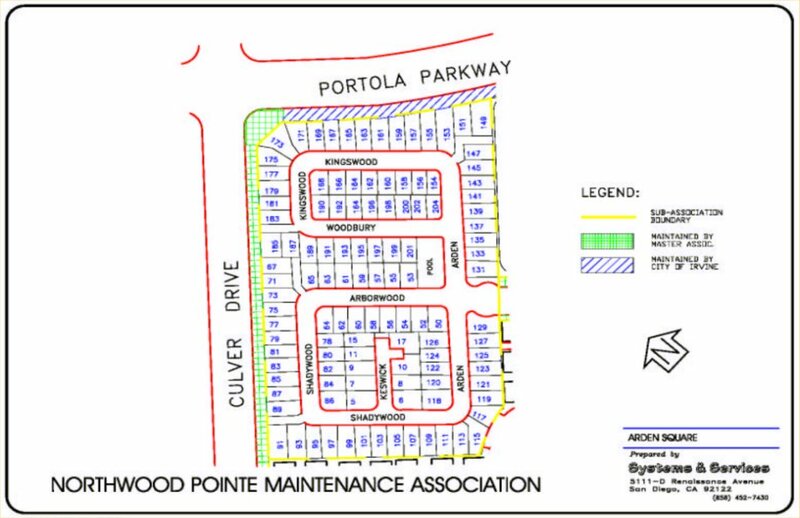 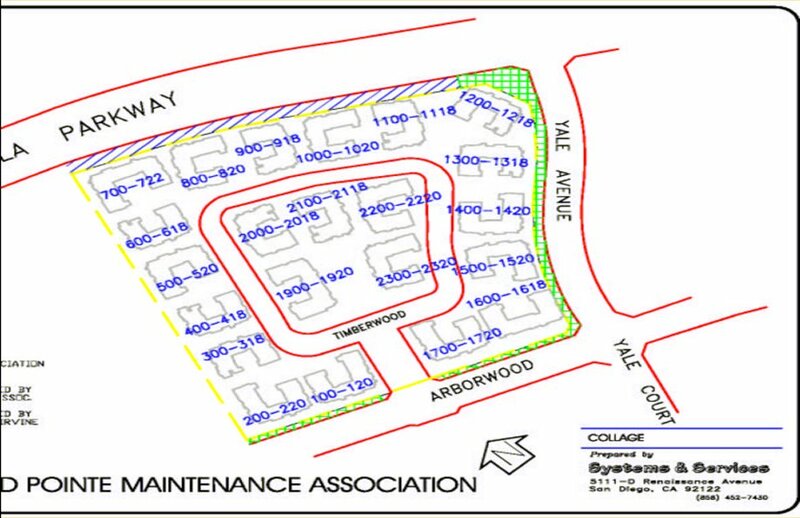 The Northwood Pointe Maintenance Association also owns and maintains the following property: (1) along Culver Drive commencing at the wash and ending at Portola; (2) along Meadowood on both sides (but not the center divider or the area in front of Meadowood Park); (3) along Yale Avenue and ending at the wash; (4) along Canyonwood (but not at or within the Trailwood gates); (5) along Arborcrest; (6) along Citrus Glen; and (7) the Northwood Pointe pool area. 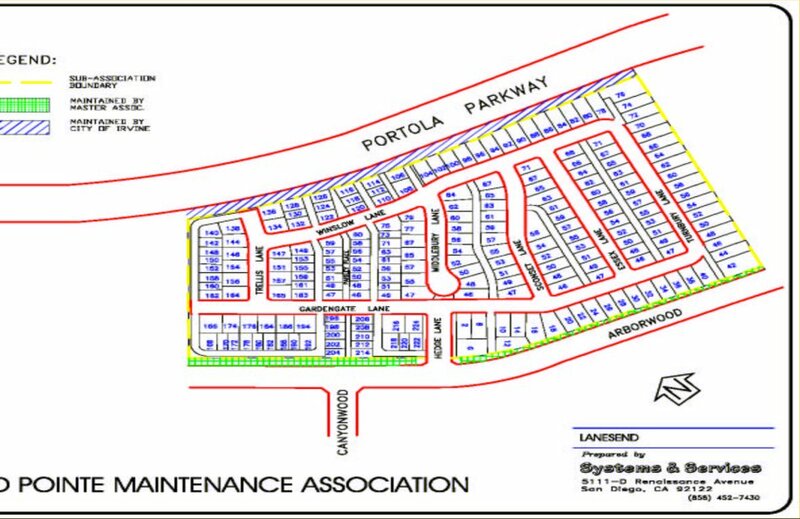 The Citrus Glen and Meadowood parks are owned and operated by the City of Irvine. 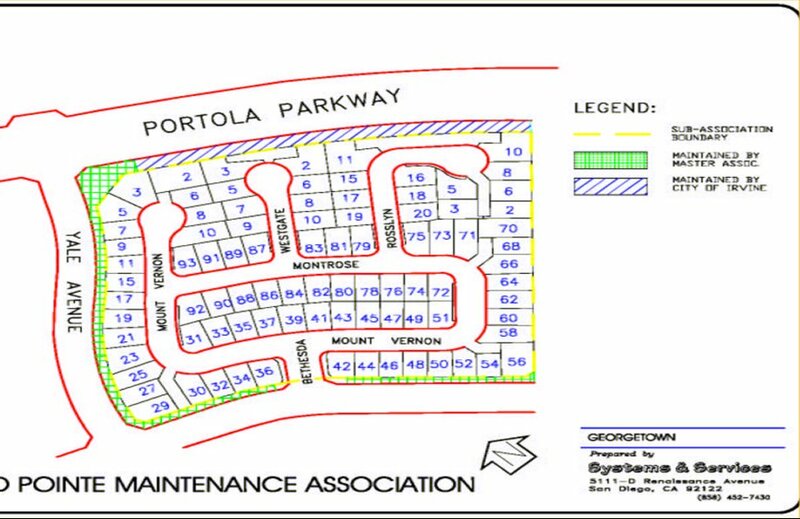 If you have any questions, comments or concerns regarding the common area landscaping at the Sub-Association entrances, the common area landscaping within the Sub-Association boundaries, the streets located within the Sub-Association, the Sub-Association gates or entrances, or any other property that belongs to a Sub-Association, you must contact your Sub-Association representative.